S&P Originals are our own projects. The cars that keep us up at night and keep us going every day. Click one of the images above to see what drives our love for the brand. Click here to view all originals. S&P Automotive offers vehicle maintenance and performance services. Check out some of these services below. From headlights to timing chains; nothing is more important to us than taking care of your vehicle. Let us help you keep it on the road for many miles. Do you want to complete your swap but the thought of dealing with the fruity stripes of your donor harness makes you want to scrap the whole idea? Well don’t, let us handle the fruity stripes, get your swap finished. Let us help you. We have built our custom parts for our own cars as we need them. Are you building your own project and don’t see what you’re looking for in our inventory? Email us about it! We would love to talk with you about product development. Be it increasing your miles per gallon or smiles per gallon, we can put together a performance package for you that pleases both the driver, and the drivers wallet. S&P Automotive is proud to be an authorized Malone Tuning dealer and installer. For more information on Malone Tuning and other performance options for your Volkswagen, for more info on Malone Tuning including basic pricing and availability, check out the Malone Tuning section of our website! or Contact us today! S&P Automotive is happy to announce that we are now an Authorized United Motorsports Dealer! 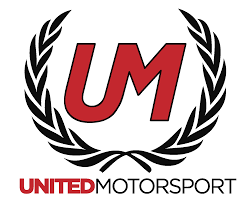 Check out the United Motorsports section of our website or Contact us today! Same/next day shipping on most orders! Perry and Sal are fellow enthusiasts who have been in the VW/Audi community for years. Working with enthusiasts to get their projects back on the road, helping VW owners find a shop that not only is willing to work on their car, but also is willing to help the customer find the best solution to their automotive problem even if it is not with our shop. We take pride in the work that we do and the services we provide, we only use quality parts to fill our service orders. Send us an email today to set up an appointment.